Often times when decorating a room we neglect the ceiling, AKA the "fifth wall". 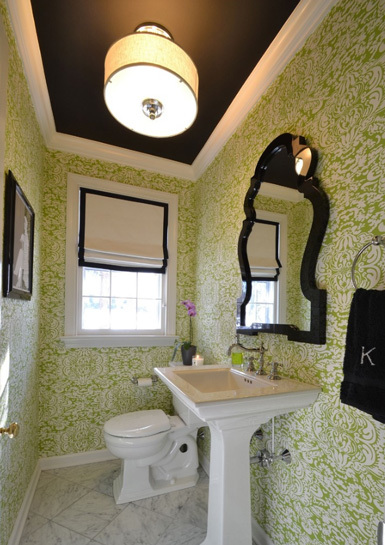 Don't settle for boring white when you can really step things up with a fun wallpaper pattern, paint detail, or solid accent color. 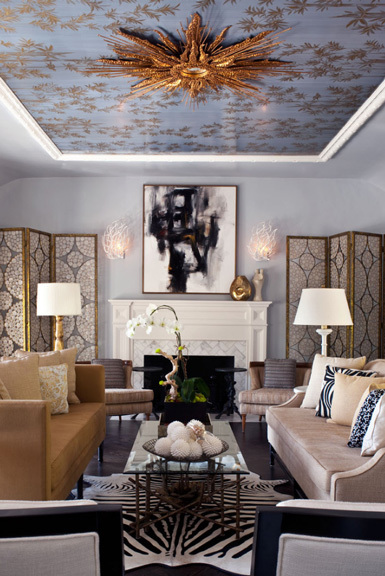 I'd love to do a dramatic lacquered ceiling sometime - maybe in a dining room. 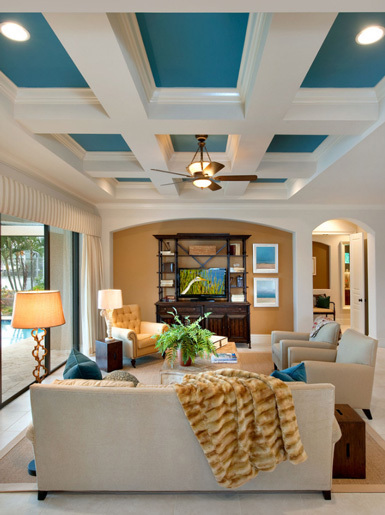 Here are some great examples on how bringing attention to the ceiling can create a stunning focal point. 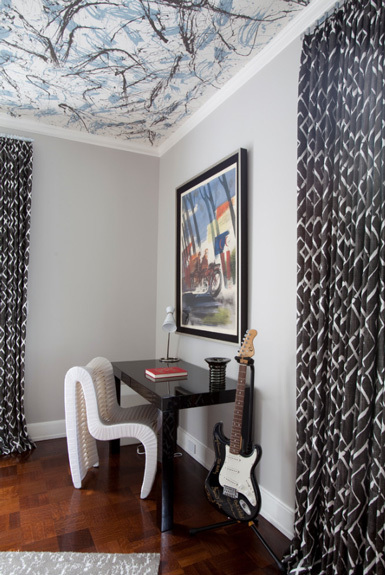 Have you done anything fun to your ceiling(s)? 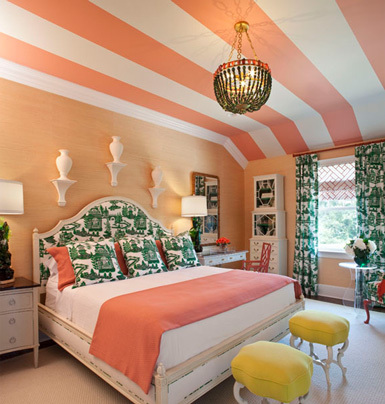 Could that starburst on the ceiling be any more glam!? Love that!! 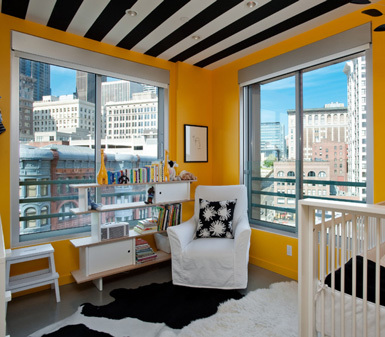 Great idea to decorate the ceiling (5th wall). Before this i have never thought about this that ceiling can be decorated... your all pictures are looking very beautiful even all ceiling work is very unique. Big Thanks for giving this idea.